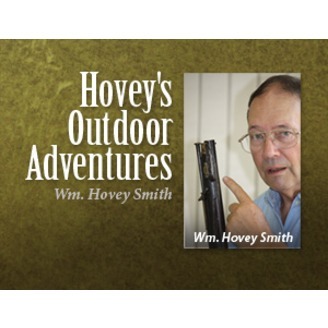 Outdoor adventures await you as Hovey Smith hunts and bowfishes to put food on his table. Each show features practical hunting tips, ways to live a low-cost outdoor lifestyle, kitchen-tested recipes for wild game cooking and an interview with a world-renowned outdoor figure. Every show ends with a humorous hunting story featuring muzzleloaders and other interesting hunting tools. You don’t have to be a hunter to listen – enjoy! New guns, clothes, knives, crossbows, outdoor-related services and some fun are presented from the 2013 Shot Show held at the Sands Convention Center in Las Vegas. More than 20 vendors are interviewed, 10 associated YouTube videos were shot and the show was described on both my Backyard Deer Hunting and Hovey’s Outdoor Adventures Radio Show blogs. What was new and interesting was a three-barreled shotgun from Chappa, hammerless muzzleloading rifle from Traditions, Arsenal’s Siamese-twin 1911s, new knives from Buck, Case and Queen Cutlery as well as crossbows from Barnett, Excalibur and TenPoint that are shorter, slimmer, and lighter than ever before. Shooting accessories included a new green laser sight from Crimson Trace, holographic sight for crossbows from EOTech and a do-it-yourself interior barrel finish from Dynamic Finishes that prevents “crud ring” formation from using pelletitized powders in muzzleloading guns. I paid more attention to clothes for the under-served part of the hunting market by including interviews with Lucky Bums, who makes clothes, seats, packs and outdoor equipment for junior hunters; and Prois who has developed a line of innovative hunting gear for women. I did not forget the guys, and I also did interviews with Irish Setter about their outdoor boots and with Manzella about their nearly 40 varieties of outdoor-hunting gloves. Just for fun, I also filmed Joey Rocketshoes Dillon’s fast and fancy revolver act at the Cimarron Arms booth where he juggled a pair of Colt Peacemaker revolvers. He started working on this at about age 6 with a cap pistol. 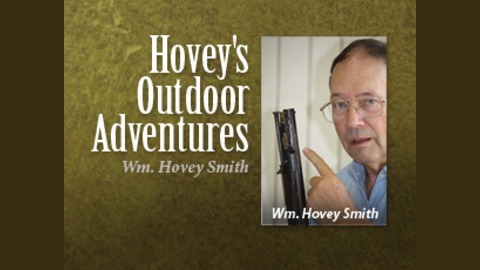 This video appears along with the others from the Shot Show the wmhoveysmith channel. Ads on the show include those from Fix It, Inc., to get you out of any little troubles that you might get into in Las Vegas and Ersatz Vegas to whom you pay your allotted gambling money and they send you receipts and cheap Vegas souvenirs to save you the expense of going. More importantly, this removes the risk of you gambling away everything you own and having to sell your daughter out of bible college to a Middle Eastern prince to settle the family’s debts.